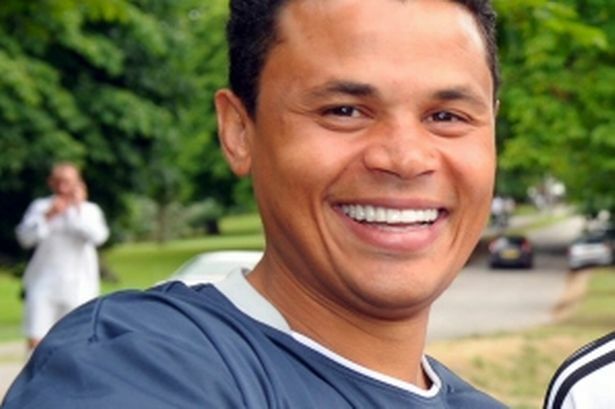 Introduction: John Akin Salako (born 11 February 1969) is a Nigerian-born English former professional footballer, sports television pundit and U16 coach of Premier League side Crystal Palace. He played as a midfielder for Palace from 1986 until 1995. He represented England at senior level, earning five caps, all during 1991. He help Palace reach the FA cup final in 1990. Put the coriander, tomato, onion, ripe avocado and salt into the whizzy stick pot and whizz them into submission. Stir in the chilli and the lime juice which loosens the mixture. Leave to fester for about 30 mins but you can tuck in immediately if time is short. Slop into the bowl and dip the tortillas into it. Is it salsa? Is it guacamole? No it’s Salsalako. Works well in fajita’s too. 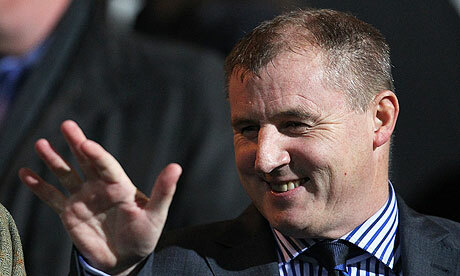 Introduction: Paul Jewell (born 28 September 1964) is a former English footballer and manager. In June 2001, Jewell returned to Wigan Athletic as manager, he had played for them making 137 league appearances and scoring 35 goals. In the 2002–03 season the club won the Division Two championship. They were near the top of Division One throughout the 2003–04 and then on the final day of the 2004–05 Championship season, Jewell’s Athletic side clinched promotion to the Premiership bringing top flight football to the Lancashire town for the first time. On the final day of the 2006–07 season, Jewell steered Wigan safe from relegation after a win against Sheffield United at Bramall Lane on 13 May 2007. A day later, Jewell resigned as Wigan manager. Shame. My grandfather used to put dried prawns in with his beef dishes but I have only just found a supplier for them so I have never tried them. Home kit: large shallow casserole, medium bowl and a pestle and mortar. Put the coriander and cumin seeds into the pestle and mortar with the pinch of salt and do a little grind. Now add the ginger and garlic and fry for a further 30 seconds. Add the newly ground coriander and cumin along with the paprika and chilli. Roast these in the oil for a further 30 seconds. Now return the meat and scooch it about in the spices carefully coating each piece. The spices will have stuck a bit at this point so pour in the water (careful it will sizzle) and use a wooden spoon to sloosh them off the bottom of the pan. Add the tomato puree and mix that in too. Bring to the boil and stick the casserole in the oven and leave to fester for 2 hours. Serve with pure white boiled basmati rice to contrast with the deep red of the gravy. N.B. If you turn down the oven temp to 170oC you can leave this in the oven for an entire visit to your local stadium and it’ll be none the worse for wear. Though you might need someone else to prepare the rice for you. 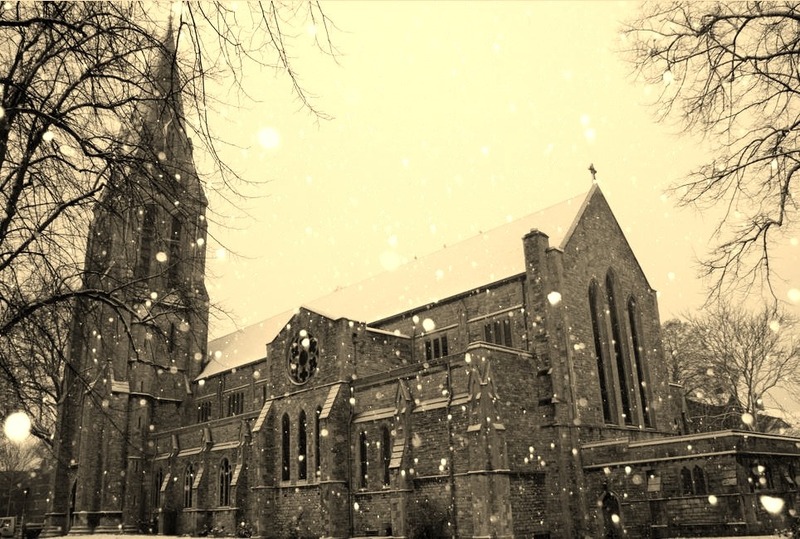 Introduction: The club has been called “The Saints” since it was founded on 21st November 1885 by members of the St. Mary’s Church of England Young Men’s Association (St. Mary’s YMA). So, it was an historic homecoming in 2001 when the team returned to St. Mary’s stadium next to that same church over a century later. In case you’ve not come across one of these (as I hadn’t) an enchilada is a tortilla rolled around a filling, chicken in this case, and smothered in a sauce of some description. Bring the stock to the boil in the medium pan, reduce the heat and add the chicken, chillies and garlic. Cook for 15 minutes or until chicken is cooked through. Strain chicken, run cold water over it and shred into a bowl. Mix in the jar of salsa and set aside. In the other bowl, mix up the cheddar, parmesan, coriander and olives. In the large saucepan over medium heat, combine enchilada sauce, Mexican hot sauce and cayenne pepper (to taste). Stir until simmering then remove from the heat and set aside. Grease the baking tray (unless it’s non-stick). Microwave the tortillas for 20 seconds to soften them. Place small handfuls of the cheese mixture and chicken in centre of each tortilla, roll up and place on the baking tray, seam side down. Ladle on sauce and top with any remaining cheese mixture. Bake 20 minutes. Serve with remaining sauce on the side. Introduction: Lawrence “Lawrie” McMenemy MBE (born Gateshead, 26 July 1936) is a retired English football coach, best known for his spell as manager of Southampton Football Club. He was on the Newcastle payroll but never played for the first team. Lawrie McMenemy is rated in the Guinness Book of Records as one of the twenty most successful managers in post-war English football. His 12 years at Southampton put both him and the club on the map by guiding Southampton to FA Cup victory with a 1-0 win over Manchester United in 1976. They were runners-up in the League Cup in 1979 and the First Division in 1983-84. He persuaded Kevin Keegan, the then England captain, to join Southampton in 1980 after two years in the Bundesliga. He is an ex-Coldstream Guardsman. Blimey I’ve not cooked this in a while. I think the last time was for that great kickball aficionado David “Rodders” Carr. Fry the onion and cardamom pods in the casserole dish over a medium heat until the onion begins to brown. Reduce the heat and add the red and green chillies, ginger, garlic, coriander, paprika, turmeric and fry them for a minute. Add the meat and fry until the pieces are evenly browned, about another 5 mins. Add a little hot water, the tamarind paste or lemon juice and place in the oven for 1¾ hours. Or reduce the heat to 140oC and you can leave it for as long as you like, say a trip to the kickball and back again. Serve with plain boiled rice and dahl which you can pick up from the Indian on the way home from the match. Eat with a spoon, curries are always eaten with a spoon in our family. Introduction: On 5 February 1992, almost eight years after his final game as a player, Keegan returned to football as manager of Newcastle United. They had been relegated from the top flight in 1989 and narrowly missed out on promotion in 1990 after losing in the playoffs to arch-rivals Sunderland, but in 1991 they had failed to make the playoffs and at several stages in 1991–92 they had occupied bottom place in the Second Division. 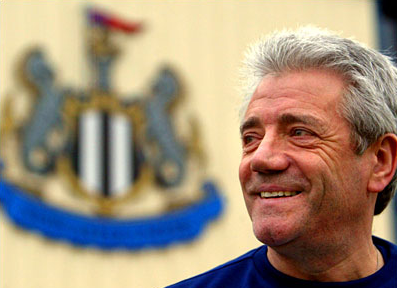 Following the dismissal of previous manager Ossie Ardiles, Keegan was appointed to prevent Newcastle from being relegated to the third tier of English football for the first time. A stottie is a flat and round loaf, about a foot in diameter and quite deep used here as a traditional north eastern replacement for naan bread. Put all the ingredients into a large bowl and mix with your hands. When nicely combined take it out of the bowl and onto a clean flat surface like a breadboard and knead it for a while until it becomes smooth and sticky, like dough. Form into four patties. Put the stottie on a plate in the oven to warm through. Put a little oil in a frying pan and fry each of the patties for a couple of minutes on each side. Put them in the oven to rest for 5 mins. While the patties are resting take out the stottie, cut into four and then prise open each quarter. Slop in a little chilli sauce, pop in a rested pattie and eat. With salad if you must. Alternatively, buy some seekh kebabs from the Indian on the way back from the match and stick them in a warmed stottie. With a salad if you must. Introduction: This recipe is named after William Henry “Billy” Walker, considered by many to be the greatest ever Aston Villa player. He was born in Wednesbury, Staffordshire and joined Villa in 1914 where he stayed for the rest of his playing career, retiring in 1934. He played for the club 478 time scoring 214 goals, he is still their all time top goal scorer. He played for England 18 times scoring 9 goals. This recipe is from the Balti Triangle. Birmingham became Britain’s Balti capital following its arrival in the city in the 1970’s courtesy of the city’s Pakistani and Kashmiri communities. A Balti curry is traditionally cooked over a high flame with spiced fresh meat and/or vegetables then cooked again with extra spices and served in the round-bottomed balti dish. You will find it easier to make the curry if you get all the spices ready beforehand. Do not attempt this recipe if pleasantly light headed. Kickballers, know your limits! Heat the oil in the casserole over a medium heat, when it is hot but not smoking, add the lightly crushed mustard seeds, cook for 30 seconds only, beware they may pop and spit out of the pan. Add the chopped onion and cook for about 5 minutes until soft but not coloured. Then add all the spices plus the garlic and ginger. Cook for another couple of minutes, taking care to ensure the spices don’t burn. Add the chicken and sugar stirring briskly to make sure all the chicken is coated in the spices and fry for 5 minutes , continue stirring to make sure nothing catches and burns. Add the stock, the tomato purée, the pinch of salt and the bay leaf, bring to the boil and pop in the preheated oven. Cook for 25 minutes until the chicken is tender. Remove from the oven, add the fresh coriander and tomato, stir and set aside to continue cooking while you warm up the naan bread. Serve piping hot in Balti dishes with naan bread and Aston Spumante on the side.